I spent the weekend editing, basically trying to get rid of all the pending stuff from 2015, but also (finally) preparing my 2015’s instagram book. I came across this picture which further than cute it is probably one of the saddest pics I‘ve ever taken. I don’t need to tell a lot about it for you to get the idea: shot in some child’s room in an abandoned mental institution in Belgium. A cut out, probably from a magazine, stuck on the wall showing some nice kittens which, among other images, made some company to the creature… I guess that says it all, doesn’t it?. Not a lot more to tell right now… if the weather conditions allows it, I will have my #2 shoot of this years with a veeeeeeeery stunning model I’ve never worked with. Really excited about it, especially after shoot #1 was a complete disaster: for the second time in my life (curiously just like in my 2015’s 1st shoot), the model didn’t like a single pic of the 250 I took, so still thinking if I can find a way to “save” something from it. Me pasé el fin de semana editando, básicamente tratando de deshacerme de todo el material pendiente del 2015, pero también (al fin) preparando my libro de instagram del 2015. Me encontré esta foto que más allá de bonita es una de las fotos más tristes que nunca haya tomado. No voy a tener que contaros mucho para que os hagáis a la idea: tomada en la habitación de un niño en una institución mental abandonada. 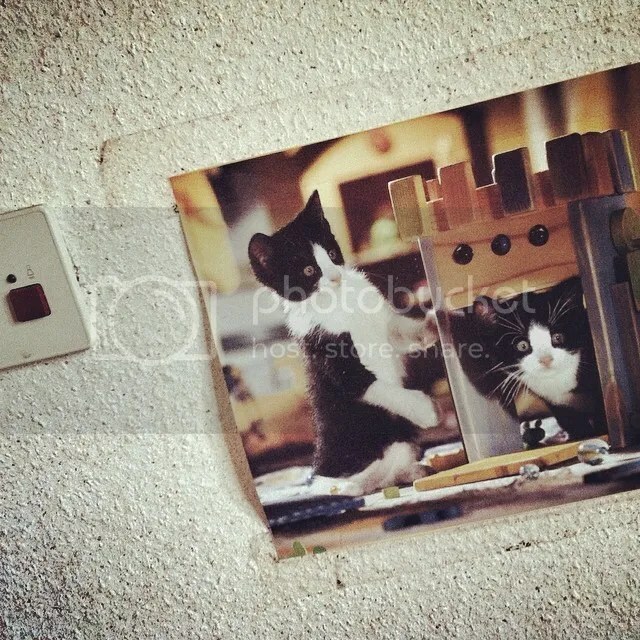 Una foto recortada pegada en la pared, probablemente de alguna revista, de unos gatitos muy monos que, entre otras imágenes, le hacían compañia a la criatura. Creo que eso lo dice todo, no? No hay mucho más que contar por ahora… si el tiempo lo permite este fin de semana, tendré mi sesión #2 del año con una modelo muuuuuy sorprendente con la que nunca he trabajado todavía. Super excitado, sobre todo después de que la sesión #1 resultase un fiasco total: por segunda vez en mi vida (curiosamente al igual que en mi primera sesión del 2015), a la modelo no le gustó ni una de las 250 fotos que hicimos, así que todavía estoy pensando como “salvar” algo de ahí.